Wangari Maathai founded the global Green Belt Movement, which has contributed today to the planting of over 52 million trees. She was the 2004 recipient of the Nobel Peace Prize. Her books include the memoir “Unbowed” and “Replenishing the Earth: Spiritual Values for Healing Ourselves and the World.” She’s also one of the 100 heroic women featured in the book “Good Night Stories for Rebel Girls.” She died in 2011 at the age of 71. This interview is edited and produced with music and other features in the On Being episode “Wangari Maathai — Marching with Trees.” Find more at onbeing.org. This interview is edited and produced with music and other features in the On Being episode “Pádraig Ó Tuama — Belonging Creates and Undoes Us.” Find more at onbeing.org. A prolific writer on sociology, history, economics, and politics, W.E.B. Du Bois was one of the most extraordinary minds of American and global history. His life traced an incredible arc; he was born three years after the end of the Civil War and died on the eve of the March on Washington. In 1903, he penned the famous line that “the problem of the 20th century is the problem of the color line.” Du Bois was a formative voice for many of the people who gave us the Civil Rights Movement and for all of us navigating the still-unfolding, unfinished business of civil rights now. We bring his life and ideas into relief through three conversations with people who were inspired by him. Arnold Rampersad is emeritus professor of English at Stanford University and author of “The Art and Imagination of W.E.B. Du Bois.” He was awarded the National Humanities Medal in 2010. This interview is edited and produced with music and other features in the On Being episode “Maya Angelou, Elizabeth Alexander, and Arnold Rampersad — W.E.B. Du Bois and the American Soul.” Find more at onbeing.org. This interview accompanies the On Being episode “Maya Angelou, Elizabeth Alexander, and Arnold Rampersad — W.E.B. Du Bois & the American Soul.” Find more at onbeing.org. Over the years, listeners have asked for shorter-form distillations of On Being — something to listen to while making a cup of tea. Becoming Wise is this offering, designed to help you reset your day and replenish your sense of yourself and the world, ten minutes at a time. A taste of the second season, which launched this week, curated from hundreds of big conversations Krista has had with wise and graceful lives — including Archbishop Desmond Tutu, astronomer Natalie Batalha, and spiritual teacher Eckhart Tolle. 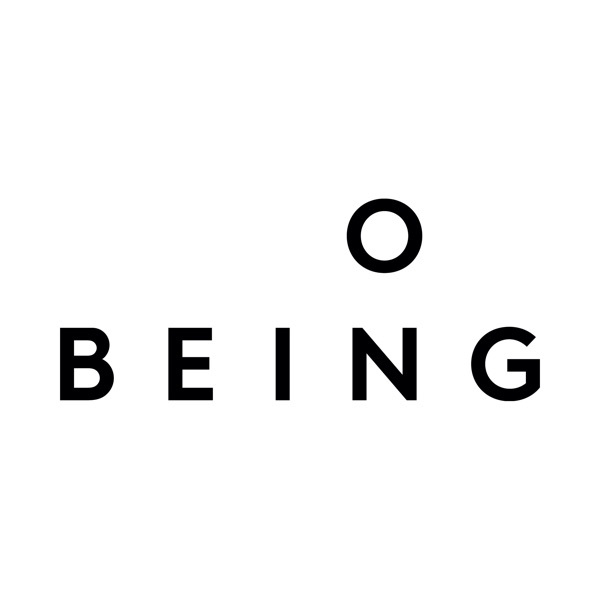 To receive an episode every Monday morning, subscribe at onbeing.org or wherever podcasts are found. Rabbi Lawrence Kushner is a long-time student and articulator of the mysteries and messages of Kabbalah, the Jewish mystical tradition. Kushner says mysticism tends to appear when religion — whatever the tradition — becomes too formal and logical. “The minute mysticism becomes permissible, acceptable, possible, it’s an immediate threat to organized religious structures,” he says. “Because what mysticism does is it gives everybody direct unmediated personal access to God.” He is influenced by the Jewish historian Gershom Scholem, who resurrected Kabbalah from obscurity in the 20th century and made it accessible to modern people. Lawrence Kushner is the Emanu-El Scholar at Congregation Emanu-El in San Francisco. He served for 28 years as the rabbi of Congregation Beth El in Sudbury, Massachusetts. He has been an adjunct faculty member at Hebrew Union College in Los Angeles and also a commentator for NPR’s All Things Considered. His many books include God Was in This Place & I, i Did Not Know, Kabbalah: A Love Story, and I’m God; You’re Not: Observations on Organized Religion & Other Disguises of the Ego. This interview is edited and produced with music and other features in the On Being episode “Lawrence Kushner — Kabbalah and Everyday Mysticism.” Find more at onbeing.org. Jean Vanier is a philosopher and the founder of L’Arche. He lives full-time in the original community in Trosly-Breuil, France. He’s also the recipient of the 2015 Templeton Prize. His books include Befriending the Stranger, An Ark for the Poor, and A Cry is Heard: My Path to Peace. This interview is edited and produced with music and other features in the On Being episode “Jean Vanier — The Wisdom of Tenderness.” Find more at onbeing.org. Writer and photographer Teju Cole says he is “intrigued by the continuity of places, by the singing line that connects them all.” He attends to the border, overlap and interplay of things — from Brahms and Baldwin to daily technologies like Google. To delve into his mind and his multiple arts is to meet this world with creative raw materials for enduring truth and quiet hope. Teju Cole is a photography critic for The New York Times and the Gore Vidal Professor of the Practice of Creative Writing at Harvard. His books are Blind Spot, a book of photography and writing; a collection of essays, Known and Strange Things; and two novels: Open City and Every Day Is for the Thief. This interview is edited and produced with music and other features in the On Being episode “Teju Cole — Sitting Together in the Dark.” Find more at onbeing.org. Béla Fleck is one of the greatest living banjo players in the world. He’s followed what many experience as this quintessential American roots instrument back to its roots in Africa, and he’s taken it where no banjo has gone before. Abigail Washburn is a celebrated banjo player and singer, both in English and Chinese. These two are partners in music and in life — recovering something ancient and deeply American all at once, bringing both beauty and meaning to what they play and how they live. Béla Fleck has recorded over 40 albums, most famously with The Flecktones and New Grass Revival. His albums include Flight of the Cosmic Hippo, UFO Tofu, and Rocket Science. His first full album collaboration with Abigail Washburn, Béla Fleck and Abigail Washburn, was awarded the 2016 Grammy for Best Folk Album. Their most recent album is Echo in the Valley. Abigail Washburn is a clawhammer banjo player and singer. Her albums include Song of the Traveling Daughter, City of Refuge, and The Sparrow Quartet EP. She is a Carolina Performing Arts DisTil Fellow, former TED Fellow, and was the first U.S.-China Fellow at Vanderbilt University. This interview is edited and produced with music and other features in the On Being episode “Béla Fleck and Abigail Washburn — Truth, Beauty, Banjo.” Find more at onbeing.org.